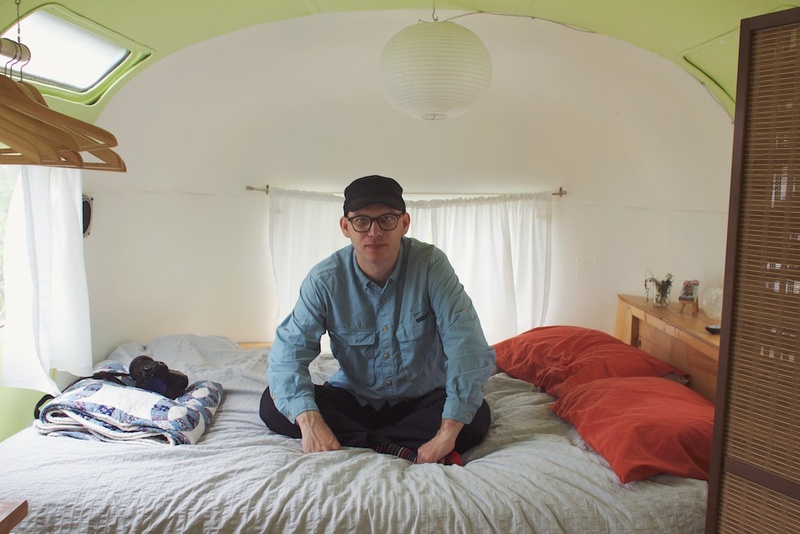 When we visited Austin for SXSW we decided to do something a little different in terms of lodging. By the time we looked for a place to stay, all the hotels were booked and we had to search for other options. 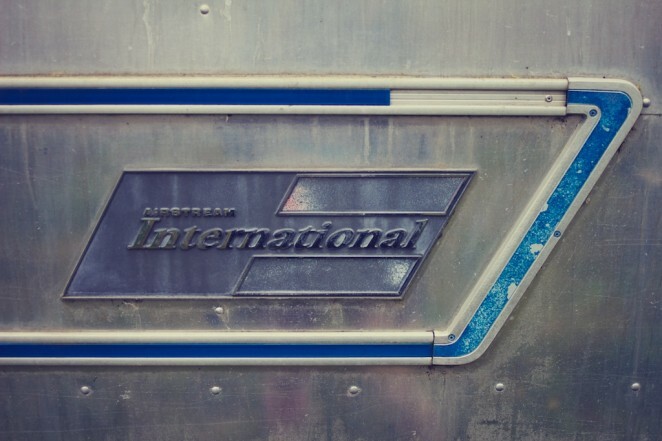 I started perusing Airbnb, looking for anything in town, when I came across this airstream. Just looking at the photos, I was sold. It was remodeled on the inside in a modest modern style. There was a small kitchen and a desk in the front, while the bed was tucked away cozily in the back. It was a really nice place to spend the rainy mornings of our trip. While it isn’t someplace I’d want to live, it inspired both Shawn and I for a potential office space, or maybe a guest room. 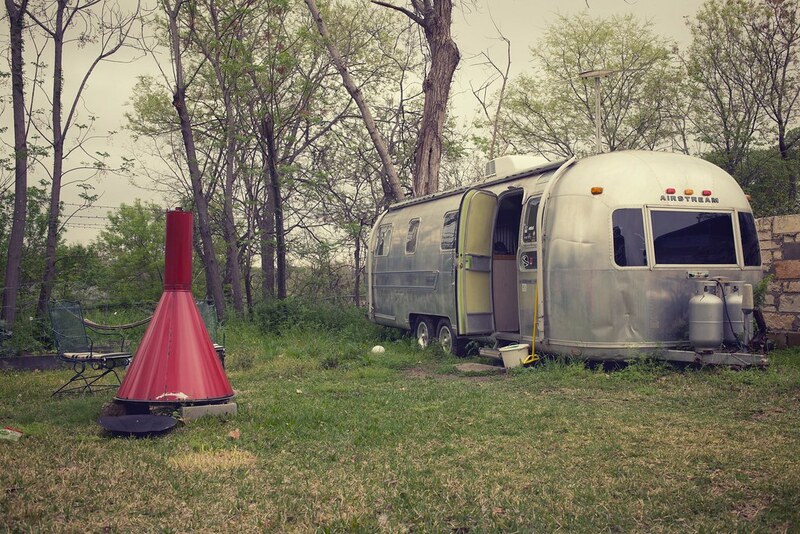 We absolutely spent a few hours researching vintage airstreams to put in the backyard of our future fantasy home. 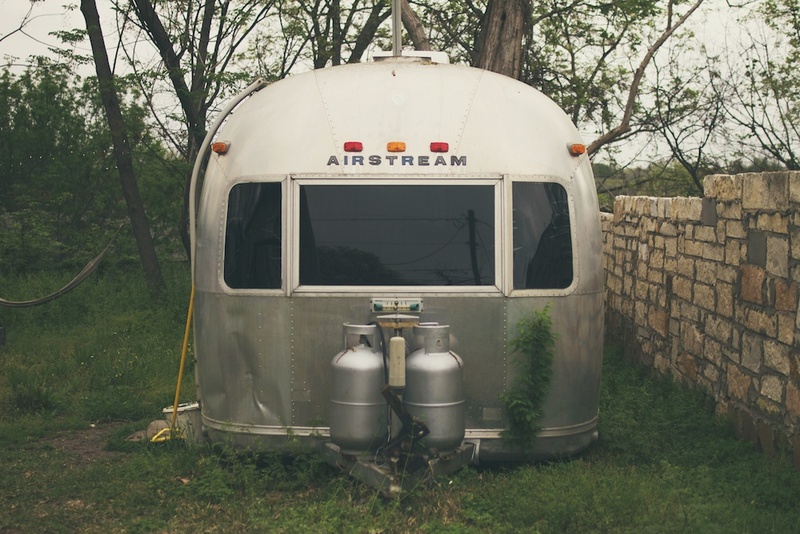 Would you ever put an airstream in your driveway or backyard even? 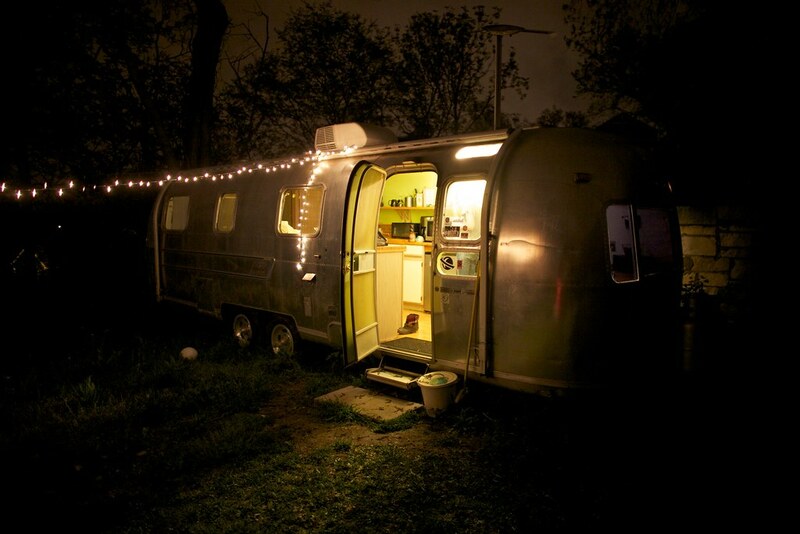 oh my god, i would totally put an airstream in my backyard. i’ve had the same thought about using it as an office/studio place. now that i know there’s a possibility that there are others out there to be rented, i’m ecstatic. i’ve loved them for a long time, but my fiancee’s a little on the fence about the whole thing. i’m going airstream scoping now! LOVE this!!! If I am ever in Austin I will HAVE to check this out- great post! what? i’ve never heard of this place but it’s adorable. would be very fun. I would definitely live in in one. No question. I’d do it tomorrow honestly if there was anyplace to park it in Santa Monica. yes it seems that Austin does love their airstreams. on the side of possible coincidences, i see from that post that you’re in Surrogate Valentine / Daylight Savings. such a small world as I am friends with Mike Lerman. fun stuff. That is the coolest RV ever! It looks like the inside is pretty nice too with the remodel. If I had a driveway that was big enough to park it in, I would love to have one of these. I’m already fantasizing about all the road trips we would take. Abso-freaking-lutely! I’ve joked about parking one in my apartment complex’s parking garage as a spare bedroom for guests.